Welcome to Dota 2 beginners guide! Quick disclaimer here. 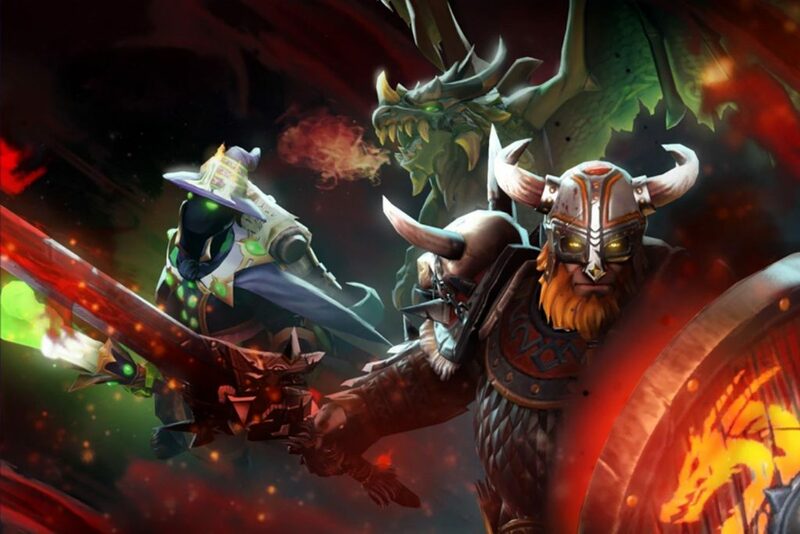 Dota 2 is always evolving from patches and updates several times a year, thanks to ice fraud the longtime game developer and the rest of the team at Valve. These patches change the game in some small ways, in some large ways. so there are going to be some small errors in these guides over time. Let’s explain Dota is short for defense of the ancients which is the goal of the game. Your goal is to protect your team’s ancient from the enemy, while also trying to destroy your opponent’s ancient. As you enter the game you can choose from over 100 heroes, each with unique strengths and weaknesses. They’re all free to pick and available to you from the very first game. Though you can’t pick you hear that someone on either team has already pick. There’s only one allowed per game. Though the map is the same every game, the variety of Dota comes down to the heroes picked as each team has 5 players. There’s a lot of different combinations you’re gonna encounter, and a lot of new things to learn. When the game begins here start off week with a small amount of gold. It’s no quick task to destroy the enemy ancient. So in order to eventually get there, they first set to destroy several defensive towers which are positioned along the three lanes of the map to help fight the battle. Both teams spawn a group of creeps for each lane who sprint towards the enemy and fight whoever they encounter – Very often enemy creeps. When enemy creeps die nearby your hero, heroes on your team will gain experience to level up and gain additional and stronger skills. Getting the killing blow on a creep will also grant gold which can be spent on a large selection of items, which can boost different aspects of your hero, either make yourself or your allies more powerful. Sometimes to take more damage or to help you do battle with enemy heroes, and their special skills when you kill enemy heroes. You gain a even larger boost to experience in gold and your enemies will have a period of time before they respond near their ancient. If it’s later into the game the period of response is gonna be even longer, which makes it even easier to take objectives like towers after winning team fights against enemy heroes. Players can also slay the monster Roshan who dwells in a pit near the center of the map. Herschel dropped some unique items, the primary one being the ages of the immortal, which allows a hero to immediately respond upon death. Well it’s not required to defeat him. The golden items that he drops will grant your team an advantage in the next fight. So sometimes worth doing. In order to win the game, you must destroy at least one of the enemy high ground towers followed by a final group of defensive towers guarding the ancient ones, who succeeded killing the ancient. Your team wins and the game is over. And that’s the very basics of how a game in Dota works. Each video in the Dota basic series might be something you know or I’ve covered already. So feel free to skip around if you already understand the topic would cover. If you just want to learn Dota by playing games, I recommend starting with a handful of bot games or you can play Dota turbo which gives more gold than the games, and faster and it’s easier to buy items. Or if you want the big boy leagues, you can just jump into an epic game, and play against real people. The regular episodes of the Dota basic series are up next, will first cover what the map is like and how to think about it, will then cover how to control your hero move around the map. And finally some tips for hotkeys and settings that you can actually get in and start playing Dota pretty fast. If you’re more experienced player in the Dota basic series is a little bit too simple for you. I recommend jumping forward to learn Dota series because that’ll get you to the meat of Dota and how to play better. We’re gonna cover here is the Dota map and things on it. If you’re more experienced player, I recommend jumping in to learn Dota series. That way you can jump in and get a strong grasp of Dota 2 strategy. So let’s jump into the Dota 2 map a bit more. It’s been suddenly changed over time and we’ll continue changing, but it still resembles the same square map that we’ve loved for over a decade. The map is roughly split down the middle between the two teams, and there’s pathways between the two bases which are the three lanes. Each lane was spun Lane creeps by each team, and they’re going to charge down the lanes towards the enemy base, and attack any enemies in their path which often results in lane creeps battling enemy Lane creeps. Both teams have towers defending these lengths to slow the push of enemies towards the towers, provide vision for your team attack nearby enemies within the range, and also provide true site against Invisible Heroes or units their safe place to stand, if you’re being attacked by enemy heroes or if there’s too many creeps for you to kill by yourself. The names of these towers are in reference to where they are in the line. Tier 1 or commonly types T1 towers are the first towers in the path. Tier 2 or T2 towers are just outside of both bases. Tier 3 or T3 towers guard the entrance to the base, and finally to tier 4 towers or in front of the engine. You cannot kill the towers out of order in the same lane though. Destruction of any tier 3 tower does allow the destruction of the Tier 4 towers and afterwards a throne if you choose to take that path. If enemy creeps aren’t there, Towers have this thing called backdoor protection which makes them resistant to damage and provide some healing. So it’s generally best to only try to kill towers with help from your creep with. The only towers that aren’t affected by this are the T1 or first tier of towers. The part of the map between the lanes and towers is referred to as jungles. They’re generally seen as no man’s land between enemy teams since there is no default vision and neutral creep spawn there. These neutral creeps have no particular allegiance and any team can kill them for their experience or gold. Generally players use the jungle to sneak between one lane to the next during the game and hopefully surprise their opponents. And for that reason you’re going to run into a lot of enemies in the jungle, and probably fight them. There very often as you march your way across the map to try to destroy that enemy throne a productive ways to destroy a set of enemy barracks. Each lane has a set of barracks with a barracks for merely creeps and range creeps destroying the barracks can only be done after destroying. It’s a company Tier 3 tower. You’d probably guess that destroying your enemies barracks will make their creeps weaker or not spawn at all. But in reality it just makes your creeps stronger. They have more health points damage and they give your opponents less resources when killed. That means your creeps will naturally defeat an enemy wave and slowly push towards the enemy throne over time without any player interaction. If you destroy all three sets of barracks then your creeps become mega creeps which are an even stronger version of creeps than you previously had. They can often end the game by themselves and make a comeback extremely unlikely. Now when you’re trying to refer to each lane you simply look at the map from your fountain and see what position on the map. It is the top line, is the topmost lane on the map. In the middle, it’s the one in the middle and if it’s the bottom most lane it’s throttling. It’s pretty simple. However those other terms for the lanes that depend on which team you’re on. If you’re on the raiding team the bot lane is the safely. That’s because the creep leaves me relatively close to your tower. The top lane is often called the offline for radiant or the hard lane because the creep wave is far from your tower when it meets. So it’s less safe for you to lane and get experience as a result. For the dive team, those names are flipped the top lane is the dire safely and the ball Lane is there offline. That’s more relevant when talking about strategy though, so if you want you can just stick the same top mid and bottom and you’ll be just fine. There’s some other buildings on the map that we missed as well. Both teams have a handful of shrines sprinkled across the map in their jungles. Unlike towers, shrines do not provide vision for your team or true set against invis heroes, but they can’t be used as a location to teleport to with teleport scrolls or boots travel just like towers. More importantly shrines slowly build up a charge every few minutes that once released restores health points and mana points to nearby allies of your team because of the shrines can be used to help survive. Team fights restore lost mana or health to your team or save you from a trip all the way back to the fountain to heal. The fountain is another really important structure. It’s where you spawn big into the game and respond after dying. If you’re ever out of health or man appointee can go back to the fountain rather than use your consumable items. But generally if you’re out on the map in the shrines are available, I recommend healing with those instead. We’ll save you some time if you do head back to the fountain though I might as well pick up some items in the base if you have the goal. Item so the next important thing to cover when talking about the map will cover the basics of items better in the next video. But to give you the where to buy details are you looking for the main place to purchase items as in the fountain where your hero starts at the beginning. Photoshop has the most things by far. For sale like common components and recipes but for the expensive rare items you’ll have to head to either of the two secret shops on the map, or send the courier in your stead. So just remember that if you can’t buy something that you want to buy, You’re in the fountain and you have enough gold for it. It’s very likely that one of the components you need is only available for purchase at secret shops. You can also buy some select items from side shops which are conveniently placed in the two side lanes, but the selection is limited. Side shops so useful early game things like boots of speed magic sticks or teleport scrolls to save you from having to walk all the way back to base. Sometimes it’s a lot faster to tell. Something else you grab on the map or runes. The most common runes are bounty runes that spawn for at a time starting right after the horn at the 0 2nd Mark and thereafter every 2 minutes. These runes give you a pretty good amount of golden experience and they give even more as time goes on in the game so they’re great to grab if you have nothing going on. There’s also two regular rune spots in the river towards the middle of the map. A RUNE was spawn at only one of these two spots every two minutes starting at 2 minutes into the game. Much later on into the game. The runes despondent both points every two minutes. This section we’re going to cover how to control your hero, how to cast spells and hotkeys to do so. There are a variety of ways to control your hero and interact them with the map and tons of settings that allow you to customize your controls in Dota 2. So let’s go over some of the basics. You’ll need to play right now. Once in game you can select your hero by left clicking on them with your mouse, pressing the hotkey you’ve assigned them to in the settings menu, or by click dragon over your hero to select them. If you ever lose track of your hero, pressing your select hero hotkey two times will center them on your screen. You can also enable the setting where holding the old Key will create a bright beacon over your hero. If you ever find yourself losing track of them, if you want to see what another hero, or unit has skills stats health, or items, you can also left click on them to check their stats or abilities. You cannot control them afterwards but you can see what they have in terms of stats and abilities in the same user interface as your hero. To move your hero once you have them selected simply right click on the ground with your mouse to execute a move command. Once you’re here reaches the destination you’ve chosen, they’ll be automatically issued a stop command which holds them in place. You can also right click the mini map to issue a move command that way as well. If instead of right click in the ground, you right click an enemy hero, your hero will instead attack that hero if in arrange or move until they are in range and begin attacking them. And this way the right click has two possible commands. It issues either a move command or begins an attack command on an enemy when you want to attack them. If you’re right click an allied hero or unit that executes another type of movement that is more like following. When done your hero will follow the targeted hero until the command is cancelled. In this way your mouse can cover most commands without the need for a keyboard. However there’s a few mandatory hotkeys you’ll need to use. We already covered the need for a slight hero hotkey. This could be something simple like the one key on your keyboard F1 or your spacebar. The other mandatory hotkeys are for the TAC command and the stop command. The TAC command is what happens when you right click an enemy with your mouse but you need to assign an attack move because of a few extra uses which aren’t easily done with just the Mouse Attack. Moving is one of these it’s where you tell your hero to walk to a certain point and attack the closest enemy that you detect along the way to do an attack move when you press the attack key. Often the achy on the keyboard, and you left click on the ground where you want your hero to attack move towards, your hero will move to that point and attack any enemies it encounters along the way. It is best used when chasing the hero through the jungle who you want to kill but keeps weaving in and out of vision. It’s difficult to right click them in those brief moments but attack moving lets the game respond. Anytime you get vision attack moving is also useful if you have trouble clicking on a fast moving hero. Remember that attack moving will always make your hero attack the closest enemy which is sometimes a creep. So if there’s a lot of units around you might have to directly attack the hero you want to kill. The attack command is also important when denying allied creeps to deny creep. It has to first be below 50 percent health and then you simply press the a hotkey and then left click the creep that you want to attack. If you’re attacking an allied creep in this way, and you get the last hit it counts as a deny, an exclamation mark pops up and your opponents get less experience, and no attempt to get the goal. Now you might be confused why it’s a left click after the a hotkey but that’s because left click is used to select a target for your action. So by pressing a hotkey the game wants to know who my attacking. You can also change the settings to that right clicking allied creeps below 50 percent. Also issues an attack comment if you wish to deny it and don’t want to have to bother pressing the key. It’s really up to you which one you prefer. The other important command is the stop command which is used to cancel your hero’s current actions. All heroes have animation times to attack or cast spells and pressing the stop command will prevent your hero from following through on the spell or animation. This is important sometimes because you might change your mind on which target you want to use your ability on. Or maybe you realize it’s too late. Now you want to cancel it or maybe even want to trick your opponent into making them think you’re about to lose your spell. Most players have a stop command on the S hotkey much like the attack command. Both of these hotkeys should be on an easily reach place on your keyboard because you’re gonna be using them a lot during a game. Now under skill and item hotkeys you’ll naturally have 6 hotkeys for skill usage, 3 basic skills, one ultimate key and 2 extra to cover the sub abilities that some heroes use. Most players use Q W E R with DNF for the sub abilities but you can changes to whatever you’re comfortable with. To actually cast your spells. At first depends on how the skill functions. Some abilities activate simply by pressing the hockey once, others work by pressing the hotkey in afterwards choosing the target by left clicking the target. Some spells might let you click the ground to cast them and others can only be cast on enemy heroes or allied heroes. If it’s an area of effect skill or a weak spell you’ll likely see your radical change when preparing to cast a spell to help you aim it correctly. If you aren’t sure which way your ability works you can also try your hero in demo mode. I really recommend doing this for every new hero that you try, so you don’t have to figure it out during a real game. Simply find the hero you want to try on the hero tab, and press the demo hero button to try out the skills against creeps spawn units or even the dummy target even one minute of this before the game starts, it’s gonna make a big difference. Ability hotkeys are pretty straightforward, but for items things get a bit trickier because there’s six item slots. I strongly recommend that you set up unique hotkeys for all six of your items. Even if you aren’t ready to use them all since using keyboard hotkeys for items and skills will save you fractions of seconds that could keep you alive or get you a kill. At least three or more of these item hotkeys should be an easy to reach places on your keyboard or mouse that you can hit reliably. Every hero will use at least three active item slots in a game and some heroes use all six so you will need and use all of them. The less important hotkeys have setup are for control groups. This lets you set hotkeys for other units you control other than your hero. For myself I have the one key set to select my hero and the Keys 2 and 3 available for hero hotkeys. So if I’m playing beast master I know that my summon bores will always be set to hotkey 2 and my hotkey will always be hotkey 3 if I’m playing Phantom Lancer. I know that all my illusions are hotkey to 2 so that I can easily select them all and tell them to attack an enemy hero and then select my hero afterwards. To set units to one of your setup hotkey groups. It’s like the units you want to put in that group with either a click drag or hold shift and left click to add more to the group. Then once they’re all selected hold control and press the hotkey this will set them to that control group. So if I control a neutral creep that I want to hotkey to a group it wasn’t before I’ll hold control and press 2 to hotkey it to my second group selection. Since where I’d be in the settings says a few other changes you might want to make since you know how to center the camera on your hero by double tapping the hotkey. I recommend disabling move camera on respawn. It’s useful to remind you that you’re alive but as long as you have sound enabled there’s an audio cue that lets you know. You should probably turn it off because if your camera moves upon responding it might lead to accidentally teleporting to the wrong location instead of where you actually want it to go. Speaking of teleports I highly recommend enabling teleport requires Stop. Stop being the S Key by default. This is to prevent yourself from accidentally cancelling your teleport with a move for or spell command when you think it’s gonna be done in time. I would also enable channeled abilities requires stops so you don’t accidentally stop your super important team fight ultimate ability by right clicking the ground afterwards. You should also probably enable the double tap ability itself cast option that way. You need to cast a healing spell in yourself. You can press the hotkey twice instead of having a click at once and click on your hero, and then also turn on the holding alt shows neutral spawn boxes and holding alt shows tower attack range options. That’s really important because you can better see if you’re out of attack range if you’re about to block a neutral camp and other things like that. And that’s about all we need to cover right now for hotkeys. In this section we’re going to cover the user interface elements. Basically everything other than your character and the map that you’re walking on. The most important UI element to keep track of is your health point, and man point bars HP or health point bars show you how much maximum health your hero has, as well as your current health represented by a bar that fills up with green when you’re healed. When you’re out of health your hero dies so you should probably keep an eye on it. The blue bar is your MP or mana points, means spent when casting abilities or using items that have mana costs. If you’re out of mana than your hero can’t cast abilities or use items that have many costs. When selecting a hero you’ll be able to see detailed information about these bars, such as what exact value they have, and importantly you can see how much health and mana there are regenerating every second on the right side of these bars. In addition to the detailed health and mana bars from clicking on heroes or units, all heroes naturally have health bars resting over their heads. These bars represent what percentage of max health the unit currently has. The color of the health bar matches loyalty to your team all of your allies will have green bars. While all enemies will have red bars over their heads. If you’re colorblind and you feel that being able to easily distinguish between enemies and allies is important to your gameplay. You can also check the box in the settings to avoid using red and green for color schemes. The health bars are a little different between types of units for creeps. The bars are smaller and less pronounced to show their non hero units for heroes. The bars are larger so you can better see which characters are heroes and they also show you what level the hero currently is. If you can’t be bothered to open the scoreboard to check hero levels. One difference between allied and enemy heroes is that for allies you can see a man a bar that represents their current percentage of mana. To help you quickly recognize their fighting capabilities for enemy heroes mana bars aren’t available and they force you to click on them directly if you wish to know their mana. The less important feature for health bars of heroes are the health point ticks for creeps. Their health bars are solid green or red but allied and enemy heroes have little black marks spaced out across their bar. What these ticks represent is increments of health so that you can estimate enemy or allied health without having to click on them. The small black lines represent 250 health points while the darker black lines show every 1000 health. In that way you can estimate health of an enemy hero without being familiar with them or being forced to click on them. The next most important part of the user interface is where your skills are. Most heroes have three basic abilities and one ultimate. But there are some heroes who have some abilities that affect their skills or might be entirely unrelated. Monkey King can turn into trees and bananas and couriers for example. If you haven’t leveled up a skill yet also known as putting a skill point, the skill will be great out once level, the skill will become colorful and show the cost for the ability in the bottom right of the skill icon. When they’ve been used and are on cooldown. They’ll have a number showing time remaining as well as a clock wheel to estimate how soon it’ll become available again. If you don’t have enough manifest skill the icon will be darkened until you gain enough mana. The number next hero portrait shows what level you currently have and how close you are to the next level. As you gain experience the yellow circle will round and eventually level you up. Once you level up your hero will have yellow plus boxes over the skills you can spend your skill points on. Simply click on one of those boxes or hold control while pressing the skill hotkey to level it up. Keep in mind that you can’t get your ultimate until you reach level 6 with a few rare exceptions and that you can spend your skill points on your toiletry at the 10 15 20 and 25 levels as well. The Territory gives you choices between two parts and lets you only choose one of them. You don’t have to skill them as soon as they’re available, but they generally give a large benefit to your hero. Makes your abilities are your item slots. There are nine in total but the bottom three are different from your top six the top six, or your in use items and you can only hold six at a time. The bottom three are backpack items backpack the items are stored and have no effect while there. Keep in mind that if you use an item and it goes on cooldown that if you move it to your backpack it’s going to take a lot longer for it to come off cooldown, rather than if it was in one of your six active item slots. Next we’ve got your hero stats. The most important details are right here next to your hero portrait. All of these icons change when your hero is affected whether due to an enemy ability or purchasing a new item. There are quick way to know how strong your hero is. Starting from the top. The sword indicates your average damage every time you hit a unit, hovering your cursor over these stats will reveal more detailed information in the more detailed version. You’ll see the minimum and maximum damage for every hit. The Shield icon indicating your armor determines how resistant you are to physical damage in, the more detailed information you’ll be able to see how much physical damage you reduce with your current armor, nearby that you’ll also be able to see your resistance for magical damage. For almost all heroes they’ll start at 25 percent magic resistance. The boot icon is really important as it tells you your movement speed. The speed will adjust if you lose an item like phase boots to temporarily boost your speed or if you’re slowed by something like or by venom. Keep in mind that you can also check on the movement speed of enemies by clicking on them. Finally the colored icons at the bottom are your heroes. Three attributes a holdover from Warcraft 3. Each attribute strength agility and intelligence provide your hero with small benefits that when added up make your hero stronger. Every hero starts with different amounts of each attribute and gains more of them every time they level up the amount, they gain for each level is called their stacking and it changes based on the hero. What does each attribute do? Strength points increase your health points HP region and magic resistance agility points increase your armor attack speed and movement speed. Intelligence points increases your mana points or region and spell amplification. However all heroes have a primary attribute that gives them additional benefits. If you’re a hero with a primary attribute of strength every strength point gained also provides 1 damage in addition to the other benefits. Agility heroes gain 1 damage for each agility point and intelligence heroes gain 1 damage from each intelligence point. But the benefits don’t stop there. Those stat specific bonuses I mentioned are better for your heroes primary attribute. For example a strength hero who purchases a strength item will get more health points. HP region and magic resistance than either an agility or intelligence hero. Agility heroes gain more armor attack speed and movement speed from agility bonuses than strength or intelligence heroes. And intelligence heroes gain more mana MENA region and spell AMP from intelligence bonuses than strength or agility heroes do. Try to keep that in mind when choosing your town trees and buying items to the left. We’ve got the mini map and a couple of buttons unless you choose to move the mini map somewhere else. The map contains a bunch of icons for important things on the map, like crepes towers and heroes. The little yellow button to the right of the map is your fortify button, clicking it will make all of your buildings and creeps and vulnerable for a few seconds but it puts it on cooldown for several minutes whenever a Tier 1 tower falls your fortification will be refreshed above the fortify button. You’ve got a blue button called scan. The scan will detect if there are any enemies in a selected area even if they’re invisible or smoked. The default color of the scan is green. If it goes red it means there’s currently enemies at that location. The scan will not reveal invisible or smoked enemies, only inform you that they are there under the scanned area. It will not however detect any heroes inside the Roshan pic slightly outside of it. Yeah that’ll work. On the bottom right side of the screen are your golden career buttons. You can always see how much gold you have by looking at the Gold counter there. If you hold your mouse over the icon you can get more detailed information like how much gold you’ll lose upon death, how much reliable or unreliable gold you have, and if you’ll have enough money to buy back from death. Buyback is a feature where you can spend gold to instantly respond say to defend your base after dying. The buyback button becomes available during death at the bottom of your portrait. If you click on the Gold button the shop will open on the right side of your screen. This tab will show you all the basic items in the shop meaning items that can only be purchased not created the upgraded items found here. We’ll show all the items you can create with the basic components. If you’re uncertain what to buy. You can click this button which will give you a list of available item guides. Selecting a guide will bring up a list of items to purchase. The shop will look different if you’re currently next to a seeker shop or by a side shop since different items are available in those shops. The courier button when pressed will instruct the courier to grab your items from base and deliver them to you. If you don’t have a courier or want to grab items from your stash you’ll have to travel to the fountain with your hero and press the grab all button below your stash when you’re nearby. At the top of your screen you can see the heroes in the game. The left is the radiant team and the right is a dire team. When heroes on your team become lvl 6 and skill their ultimates small diamonds will appear on their hero icon. The diamonds will be green if their ultimates already or black if they’re on cooldown. If they don’t have enough mana to cast their ultimates the demons will be dark blue. Keep in mind you can only see these ultimates indicators on your team not your enemies. If a hero is dead their icon will be great out and a timer below will show the delay until their respond. If one of your teammates is dead but has buyback available, you can see a golden line around their death timer to show you they could buyback, the numbers next to each team show how many kills their team has. Between the hero icons and their kill totals is a clock, that indicates how far into the game you are above the watch. There’s also a sun or moon which indicates day or night. This is important because most heroes units and buildings see shorter distances during the nighttime. Finally we’ve got this top left section. This bit of information tells you your kills deaths and assists in the current game and underneath it. It shows the number of last hits and denies you have last hits and denies are commonly called S or keep score in Dota. This button will take you back to the dashboard while remaining in your Dota game. As long as you don’t click disconnect from game I should mention that leaving an active game has consequences so your best to play until the end. The gear button you’ve seen press multiple times now is the setting menu where you can adjust tons of settings related to gameplay and preferences. Go poke around in there and check stuff out. These three bars is the button for the scoreboard. Here you can see the kill and death ratio of all the heroes in the game as well as their levels. You can also see the current gold of your teammates. These buttons are truly important there for muting players by clicking the speaker icon you’ll meet their microphone and clicking on the tee will mute what they write. Remember that will only apply the mute for you. Other teammates will still be able to read and hear the person you muted and that person will still be able to hear you. If someone is being rude angry critical etc., just mute them. You can still win Dota 2 without communication and you’ll probably have a higher chance to win when you mute toxic people. This button can also be valuable in very rare cases. These options can give or remove your teammates ability to control you if you need to go away from the keyboard for a bit or let your allies control your summoned units. The final option here is to disable help from an ally which you might want to do if your allies are deliberately using skills to hurt you. Say you by teleporting you into the enemy fountain.